Eastbourne Eagles will go wheel-to-wheel with one of Britain’s most exciting speedway riders on Saturday (April 13) night when they face Chris ‘Bomber’ Harris at Arlington Stadium. 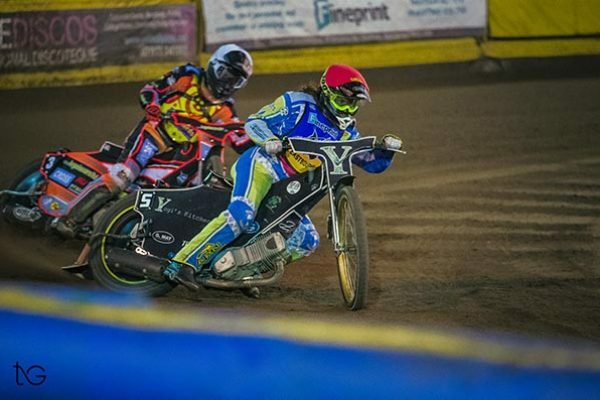 Harris, who will be leading the Somerset Rebels in Championship Shield action, is renowned for pulling off almost impossible overtakes only and inch or two from the safety fence. His all-action, never-say-die racing attitude has thrilled fans up and down the country. Now he is coming to Sussex. The West Country club are sure to push the Fineprint Eagles all the way and are widely tipped as one of the teams to watch in the Championship. 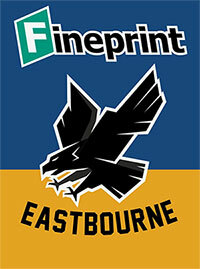 The Rebels – like the Eagles -– are new to this league having dropped down from the Premiership during the winter, while Eastbourne stepped up from the National League. Eastbourne Director of Speedway, Jon Cook, said: Somerset arrive back in the Championship as one of the teams to beat. “I would have preferred us, especially our youngsters, to have had more race time before facing them. “It will prove a very tough challenge. “It is our second meeting and one of the sport’s top draws, Chris Bomber Harris lands at Arlington. “It is going to be a great pleasure watching him take on our three heatleaders – Edward Kennett, Richard Lawson and Lewi Kerr. Edward & Lewi celebrate with the Eagles fans. The meeting in the Championship Shield is the first time Eastbourne and Somerset have ever met. The Eagles return to their usual start time with tapes up on the first race at 7.30pm. Somerset’s Nico Covatti is in the Italian Championships on Saturday (SCB approved) and misses the match. Edward Kennett, Ben Morley,	Alfie Bowtell, Lewi Kerr, Richard Lawson, Georgie Wood, Tom Brennan. 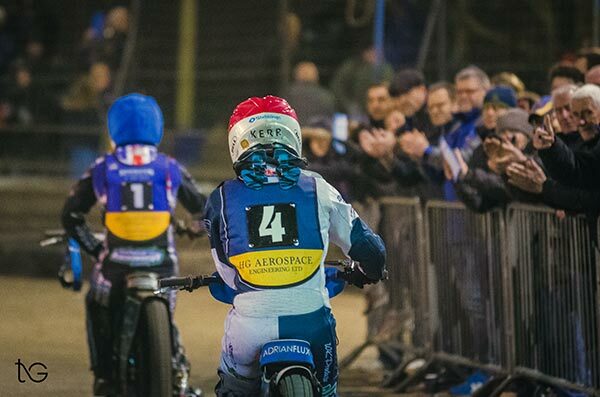 A few Eastbourne Fineprint Eagles supporters may have been aware of a provisional fixture – announced on Kent Kings fixture list – for Monday, May 6, against an “Eastbourne National League Select”. This fixture was never included or scheduled on the Eastbourne Fineprint Eagles Official Fixtures for 2019, published in January 2019. To avoid any confusion; this match will NOT take place. Eastbourne Director Jon Cook, has provisionally agreed for a Lakeside Select Team to visit Kent on May 6th.